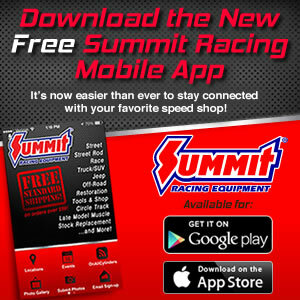 Summit to sponsor Jr. Dragster TOC competition! The International Hot Rod Association™ (IHRA) is proud to announce its Master and Advanced Jr. Dragster classes have been added to the annual Summit Racing Equipment Tournament of Champions presented by AMSOIL – held during the World Finals in Memphis, Tennessee – and will be will be sponsored by longtime series partner Summit Racing Equipment. The $100,000 Summit Racing Equipment Tournament of Champions presented by AMSOIL debuted in 2009 and is the sport's first nationwide head-to-head tournament to determine the champions in each of the premier sportsman classes in IHRA competition. This revolutionary format not only reduces costs financially for IHRA racers, but it rewards all drivers who have had a successful year with a level playing field where location and finances are not a factor in determining the world champions. The Summit Tournament of Champions has grown exponentially over the past few years and with the recent expansion of the partnership with performance mail order giant Summit Racing Equipment and AMSOIL, the Summit Tournament of Champions continues to grow at a rapid rate and hold its place as the nation's premier sportsman event. The JR Race Car IHRA Jr. Dragsters will compete in the Summit Pro-Am Tour in Divisions 2, 4, 6 and 9 this season. To qualify for the year-end Summit Tournament of Champions, Master and Advanced Summit Pro-Am Jr. Dragster racers must finish in the top two in points in their respective division. Once there, all qualified Jr. Dragster drivers will compete in one class in head-to-head competition for the Summit TOC Junior World Championship. Jr. Dragster drivers cannot race the same car in the Summit Super Series and Tournament of Champions should they qualify for both.